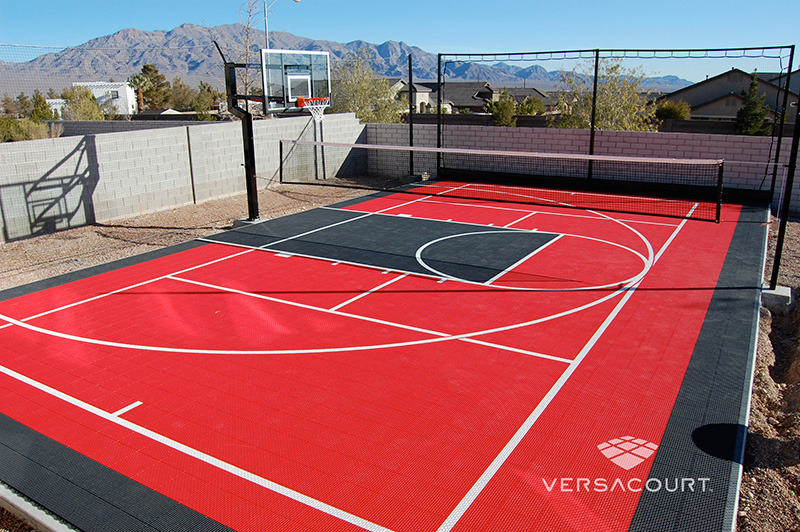 Whether you want a safe place for the kids to play or are training a future NBA star, VersaCourt is the premier choice for backyard basketball courts. Our unique athletic court surfacing provides advanced shock-absorbing technology for a comfortable, safe surface to play! 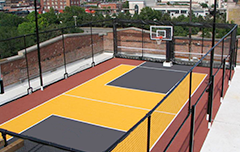 Plus, the patented design produces a consistently flat tile that guarantees the absolute best ball bounce and overall playability. 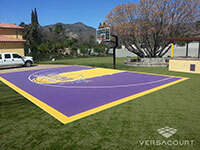 It is 50% cooler than asphalt or concrete and with numerous color options and the ability to add custom logos, it will look cooler as well. 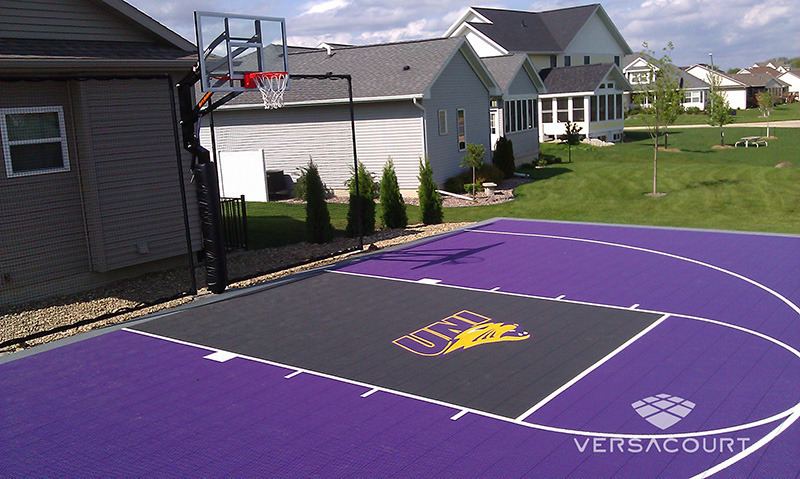 And, we add extra UV additives to ensure vibrant and consistent colors and form the foundation of our 15 year warranty. 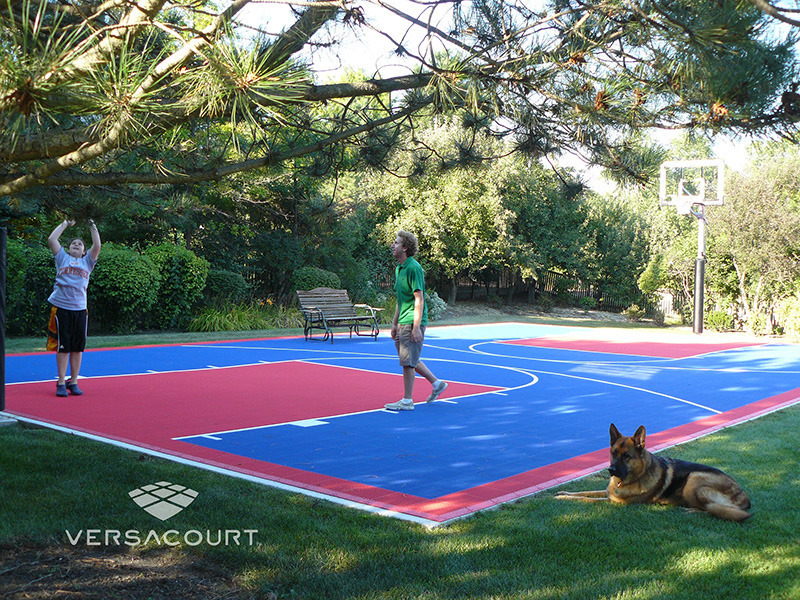 VersaCourt offers 14 standard court sizes that range from small courts featuring a shaded key area to half courts and full courts in a variety of sizes. 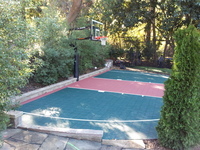 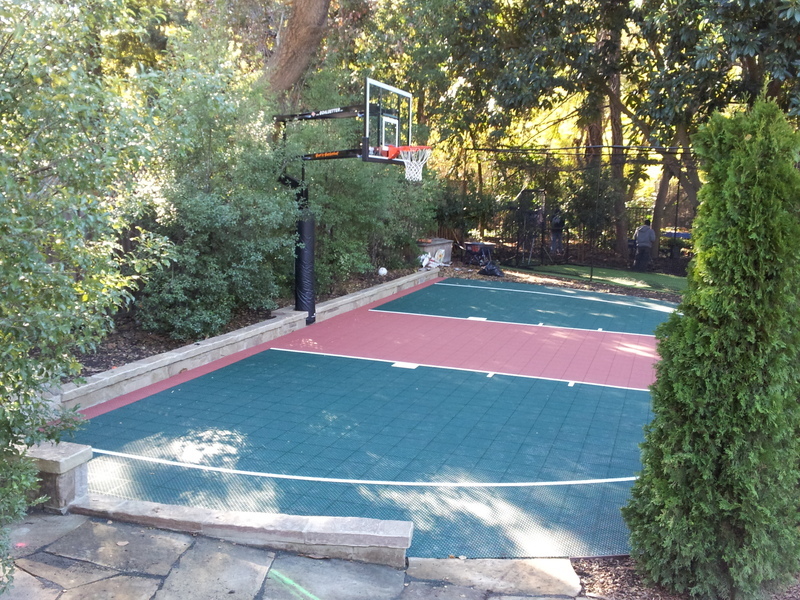 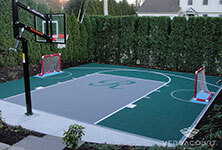 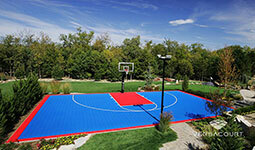 Custom sizes are also available and many clients with larger courts will opt for a multi-sport game court. 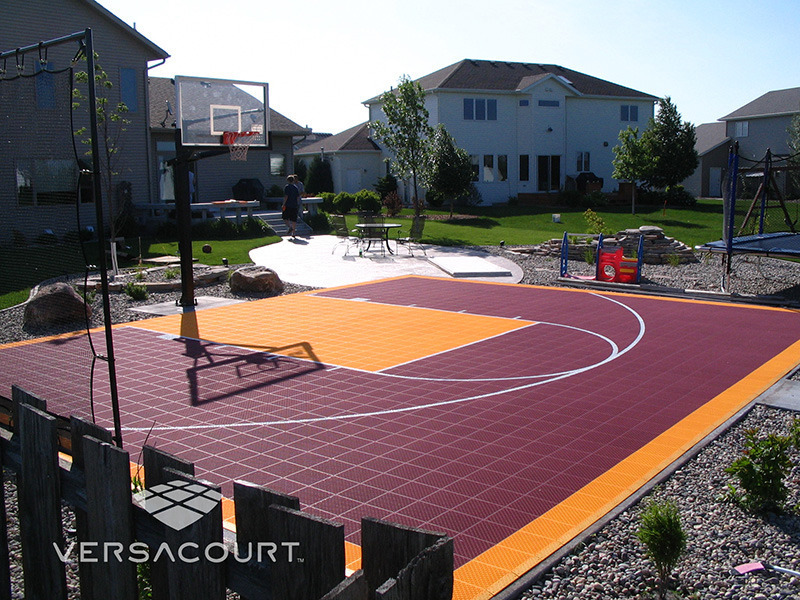 Our team can handle all elements of the installation process from excavating the land and pouring the base to assembling the court tile. 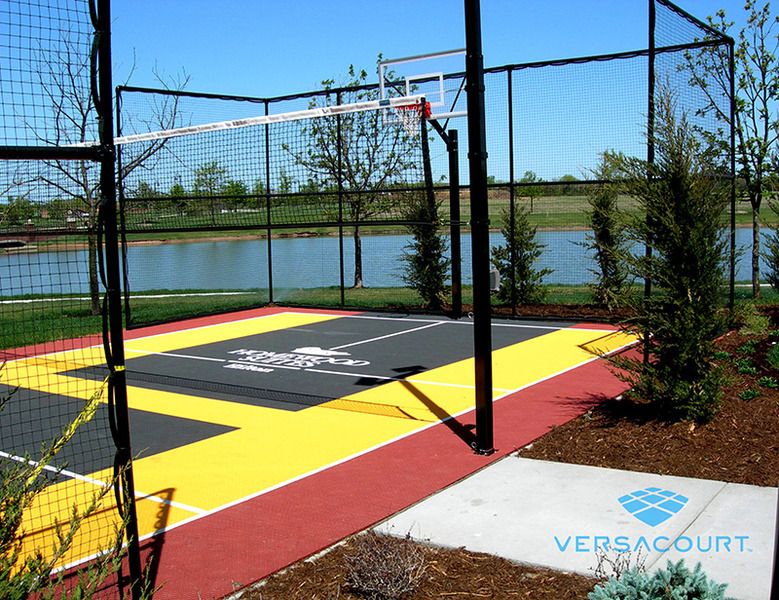 We also offer a wide variety of ancillary products including lighting, nets, ball containment fencing and Goalsetter® basketball goal systems for your basketball court. 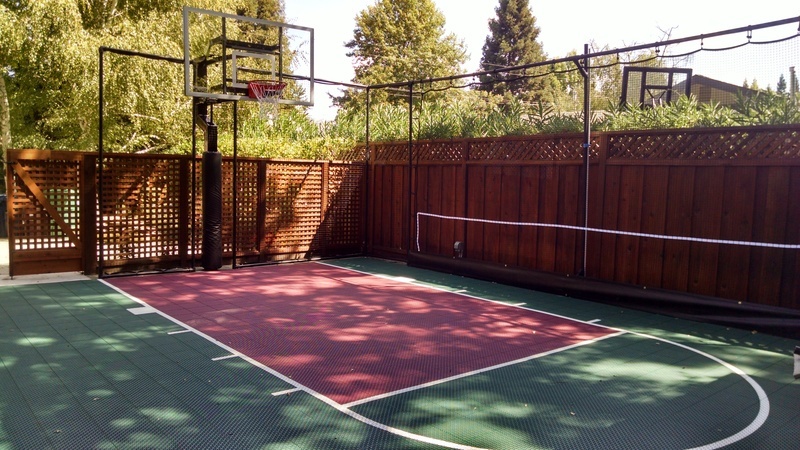 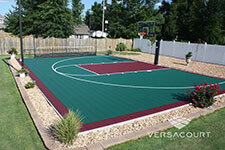 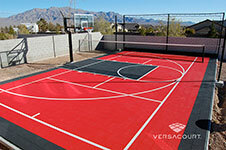 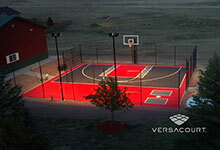 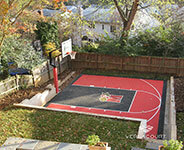 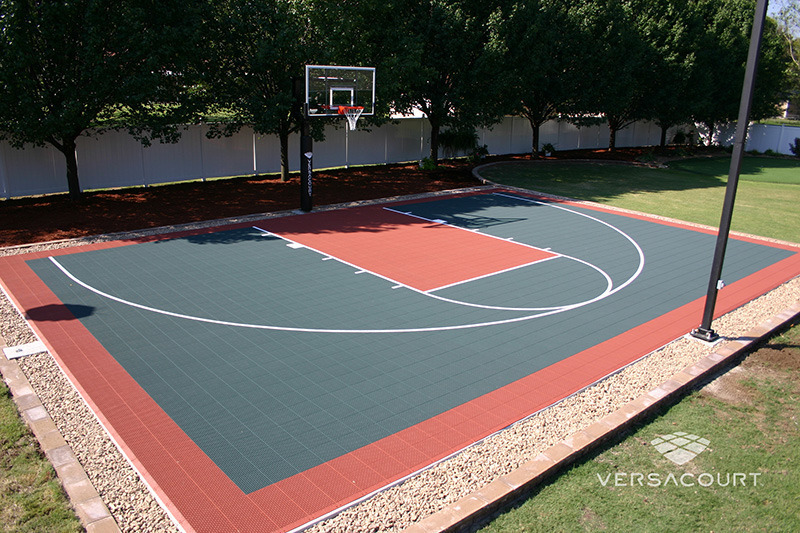 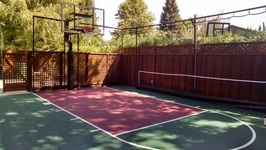 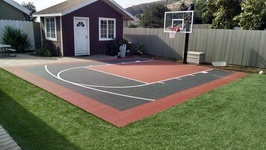 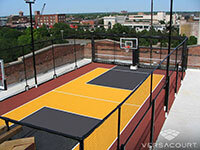 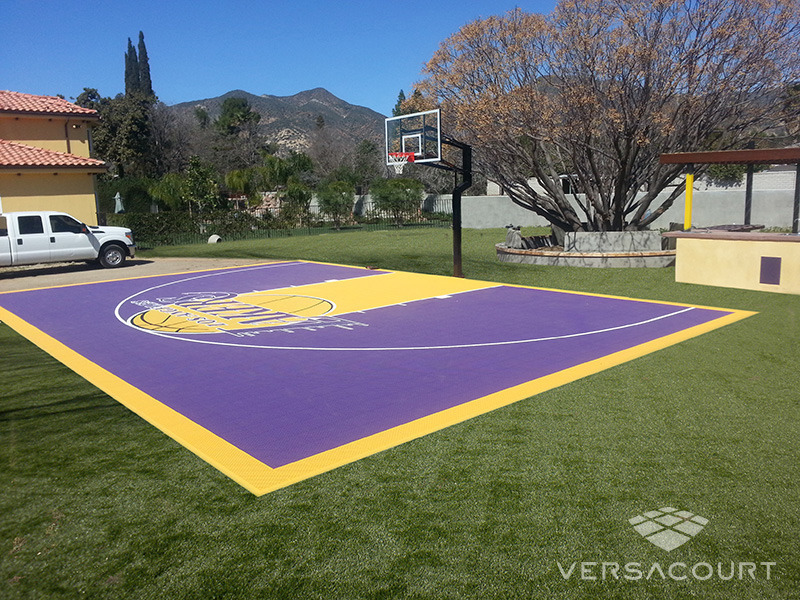 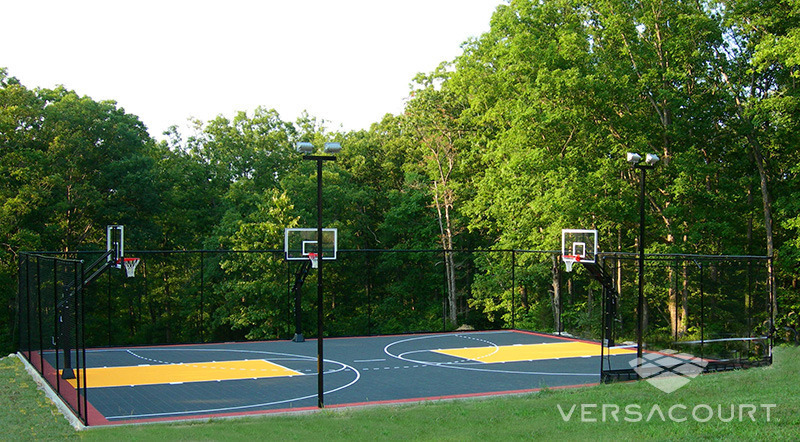 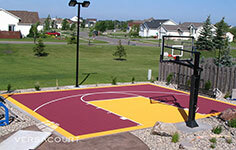 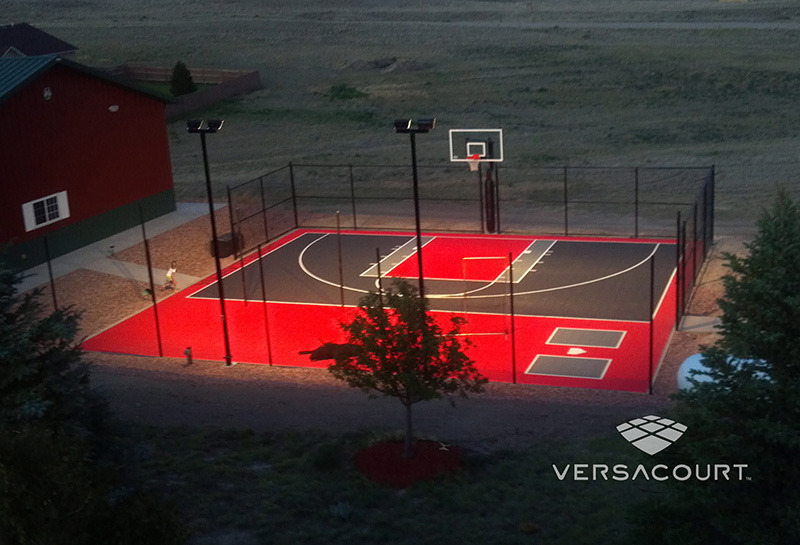 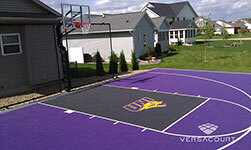 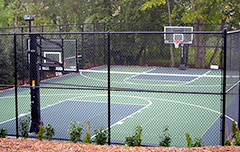 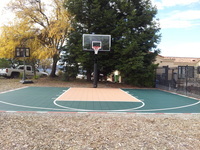 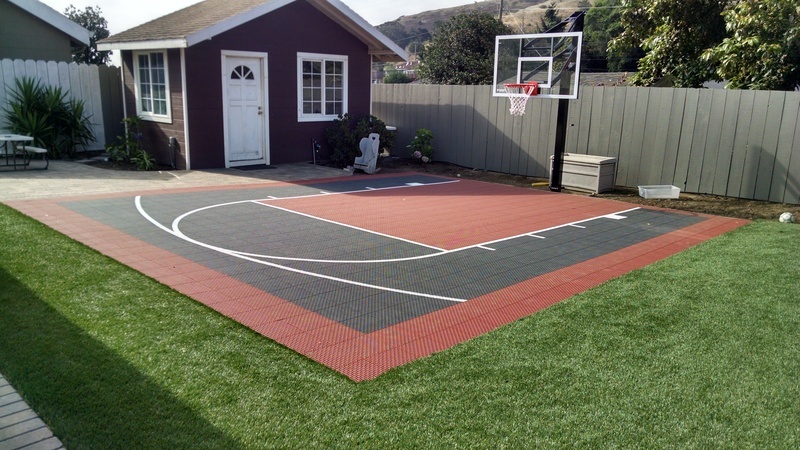 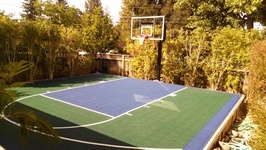 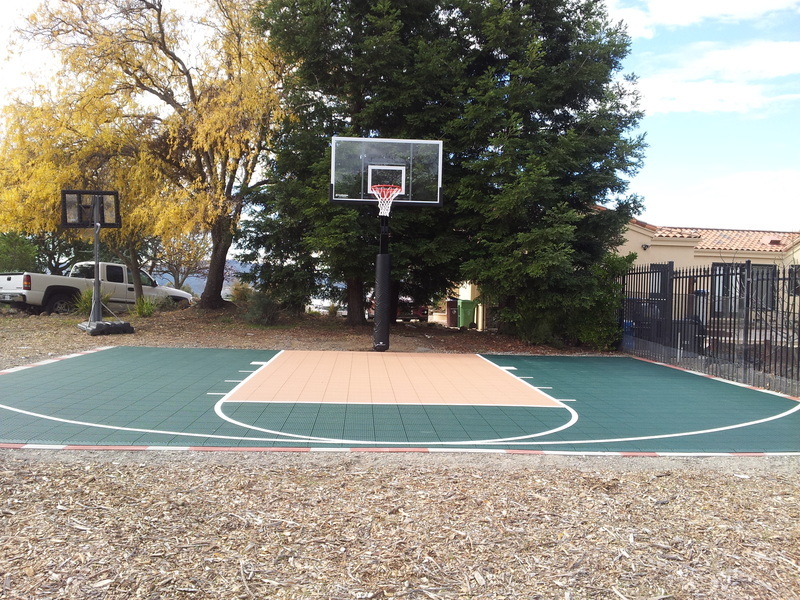 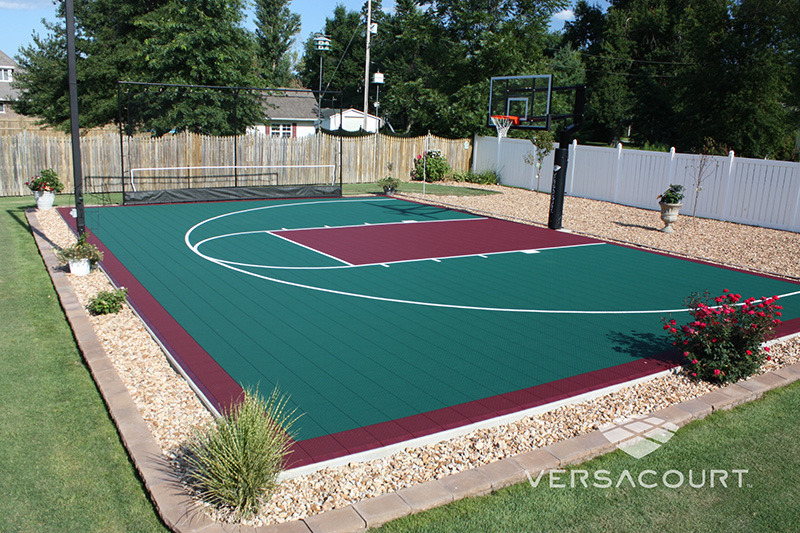 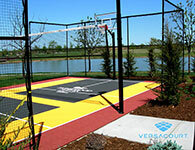 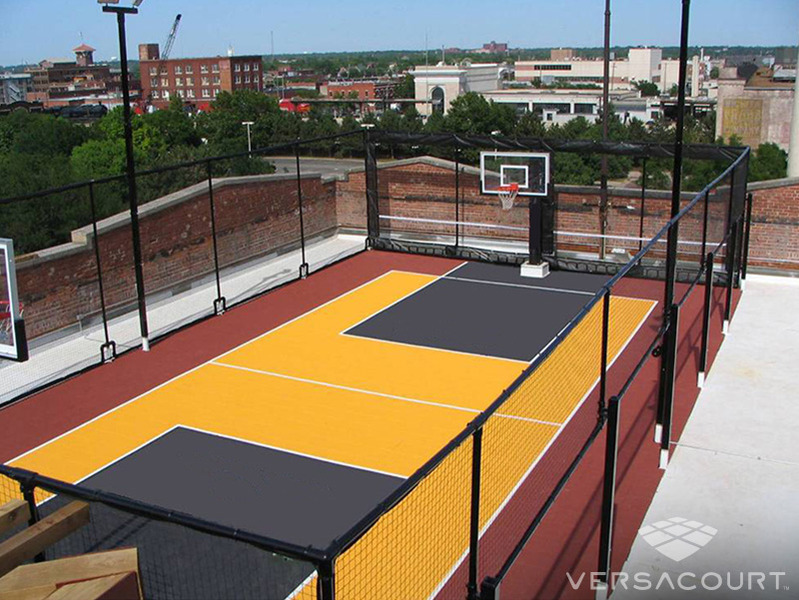 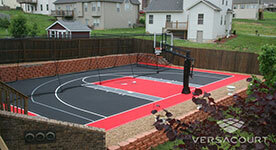 VersaCourt Basketball Courts can be installed indoors, in yards, driveways or rooftops.